An e-mail was just sent to Stephanie and she has 48 hours to respond. Winner was selected by random.org from eligible entrants. 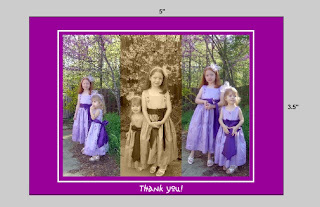 Mother's Day, Father's Day, birthdays, graduations ... the list goes on and so does the need for thank you greeting cards. While many have forgotten the etiquette around sending thank you cards, it's alive and well with this giveaway as you will get 50 custom greeting cards from DigitalRoom.com. DigitalRoom credits itself with online printing with a human touch. 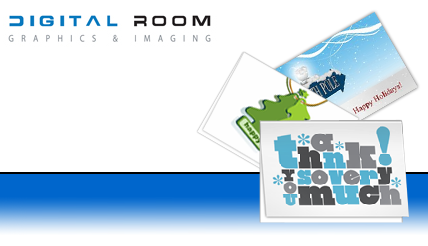 With DigitalRoom, you can create your own greeting card with your idea or utilize one of the ideas available. Select size and orientation and click on Launch Design Tool. Select your own image or you can choose a stock image starting at $5. Add text, background color, shapes or clipart to include borders. Review and approve .. it's that easy! You even get a free proof to ensure you are happy with what you are going to purchase. 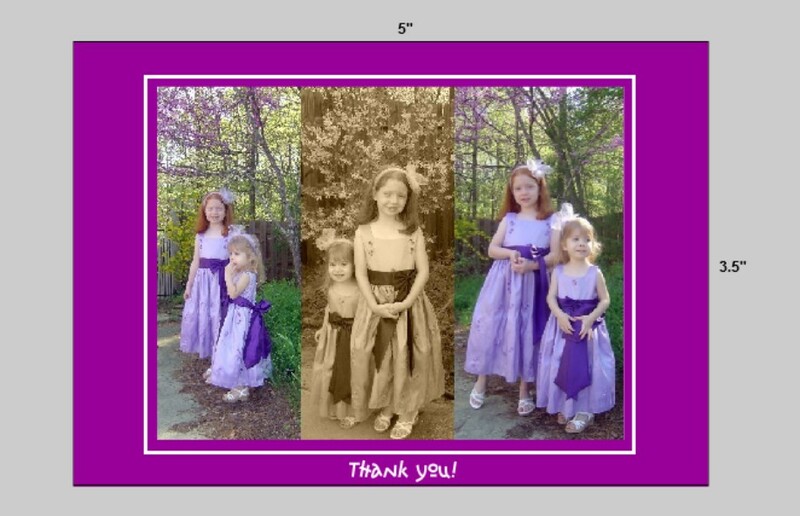 Follow my blog and tell me what you would use the thank you cards for. Visit DigitalRoom and tell me another card design you like (two entries). Giveaway ends 5/4 at midnight and winner will be chosen by random.org. Eligibility: Limited to US Residents only. Must be 18 years old and up. *Disclaimer: I did not receive any financial compensation for this post. I follow your blog. We are expecting our third baby in about a week, and I know we will need lots of Thank you cards! I sent a Facebook fan request to you #2. I sent a Facebook fan request to you #1. I follow your blog. I imagine we could use these cards to thank people for birthday gifts. I am following via Google Friend Connect (Stephanie), and I would use them for thank you cards for our little girl! I follow your blog (andi) and I would use the cards all year long. My kids are REQUIRED to send a thank-you for each and every gift they receive so these would come in handy and they look so awesome! I follow you on twitter (@zanvia)! I love the Fashion Jewelry Greeting Card Template 1 at the Digital Room! I follow your blog. I need the thank you cards to thank people for nice things they have done for my family throughout the year. These would be PERFECT!! My teen son is doing his Eagle Scout project this Saturday and I'm planning to take lots of pictures. He has many people to thank for donating trees, supplies, food, and time, etc. (He's landscaping a park). I'd love to take a picture of the scouts in front of the finished project for the front of the thank you cards. I also like the blue happy holiday cards that have the skating snowman. Entry #2. I also like the blue happy holiday cards that have the skating snowman. I follow in Google reader. I would keep these cards at work to have on hand for thank-yous. I have so many sweet and thoughtful coworkers that it would be helpful to have some cards in my desk drawer for emergency thanking! I follow your blog. I would use the thank you cards for birthday presents.